This is an example how to print customer and item specific labels in Dynamics 365 for Finance and Operations. The labels shall be printed directly within the sales order form at the sales line grid. Create a new class called ItemLabelContract, which will be the data contract class for the report. It contains the number of labels to be printed, the SalesId and the LineNum to reference the calling SalesLine. Create a new controller class called ItemLabelContract. This class will be called from the menu item in the sales order form. It takes the SalesLine as parameter and decides which report and design to use. Create the report data provide class. Overwrite the prePromptModify method and populate the contract with the number of labels to print taken from the SalesQty, the SalesId and LineNum. 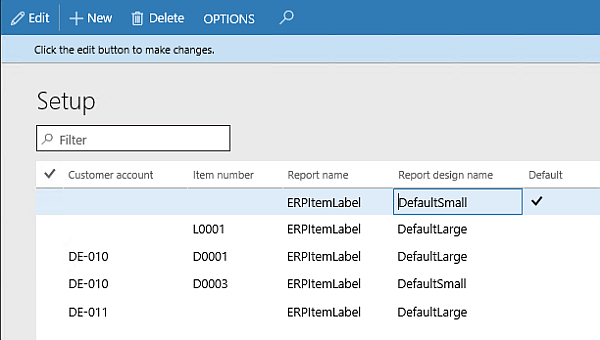 Create a new report and add the report data provider class as source. Create at least two designs. In this example I’ve created two designs, a small and and large label. 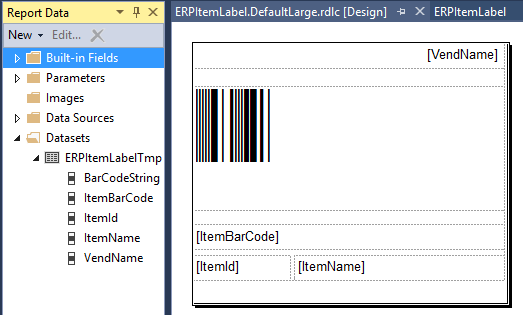 Create a new form using a the Simple List pattern to manipulate the configuration table form. Create a new display menu item for the form and add it e.g. to the accounts receivable module. Create a form extension for the SalesTable form. 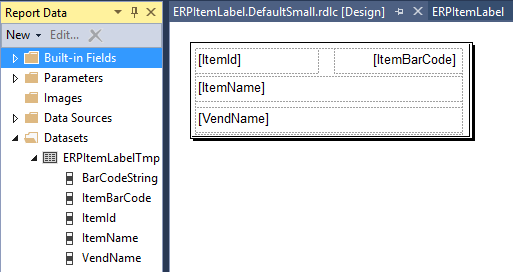 Create an output menu item form the ItemLabelController class and add it to SalesTable extension e.g. 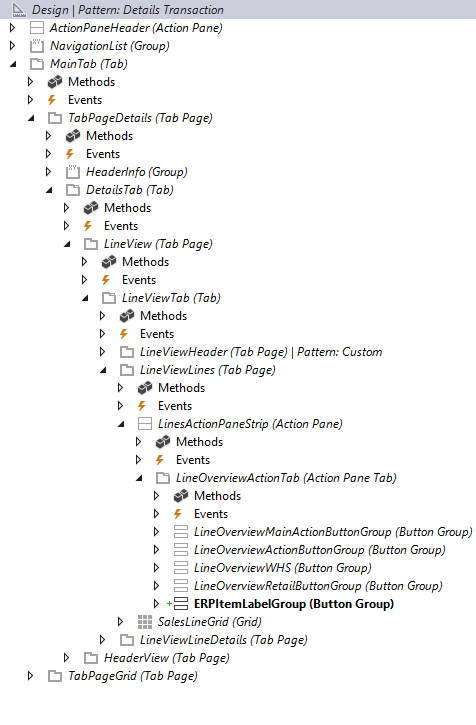 Main > TabPageDetails > DetailsTab > LineView > LineViewTab > LineViewLines > LinesActionPaneStrip > LineOverviewActionTab . Make sure to set the SalesLine as Datasource for the Menu Item. Create new sales orders and test the different configurations and labels. Here is a Youtube example.